Fly with Air India and see why they are one of the 28 Star Alliance members. This membership allows Air India to offer easy connections to almost any destination in the world. Accrue air miles when you fly Air India and get access to flight rewards and upgrades on Air India and Star Alliance partner airlines. Keep track of your flight via the online tracking app by inputting the flight number or by selecting the route of your Air India flight. True to India’s tapestry of culture, Air India is committed to meeting all its passengers’ requirements far and wide. While being one of the youngest fleets in the world, they still managed to become the 27th member of Star Alliance, making it a member of the second-largest global airline alliance in the world. The airline is most certainly living up to its rich heritage and character of unrivalled services and hospitality. Travelstart is proud to partner with a brand such as Air India and it brings us great joy to source the best Air India sales and cheapest flights at any given time. Book Air India flights to Rome, Delhi, Shanghai and other exciting places! All passengers (children included) are allowed 1 piece of hand-luggage (8kg). In addition, passengers are allowed 1 piece of cabin luggage/ package, subject to security regulations. First Class passengers are allowed to check in 1 piece of luggage (40kg). Business Class passengers are allowed to check in 1 piece of luggage (35kg). Economy Class passengers are allowed to check in 1 piece of luggage (25kg). Infants in all classes are only allowed to check in 1 piece of luggage (10kg). The weight of your luggage is dependent on which location you are flying to. The baggage allowance weight varies between 20kg-50kg, per bag. Passengers are advised to inform themselves on these regulations before getting to the airport. All Air India passengers boarding at Bangalore, Chennai, Delhi, Hyderabad, Kolkata and Mumbai can check in online. 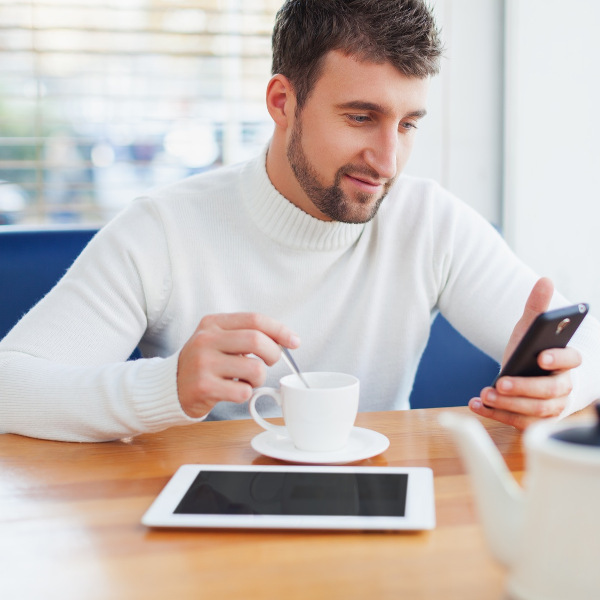 Online check-in is open 48 hours before the scheduled time of departure and closes 2 hours prior to departure. Counter check-in times vary based on the city where you are boarding, so passengers are required to inform themselves of these times at least a day before departure time. Air India's First Class cabin will exemplify the true meaning of luxury. This cabin that only seats 12 passengers offers a fine selection of the most delectable meals and drinks. 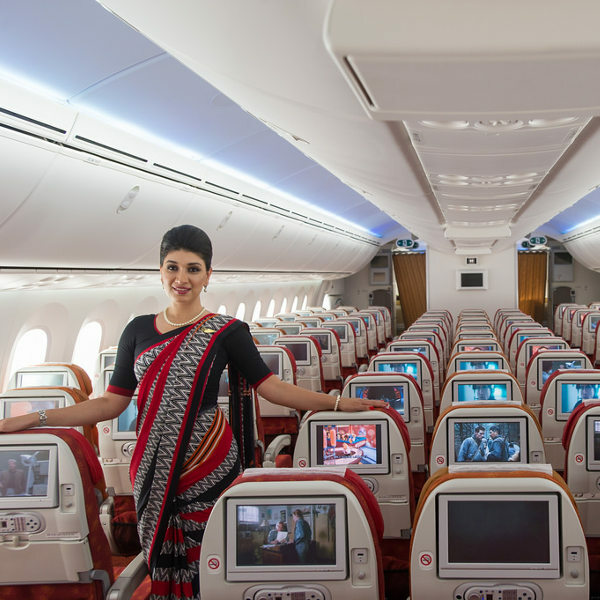 The most elite of all the classes offered by Air India, the spacious cabins and plush seats offer executive passengers extreme comfort and luxury. Passengers travelling in this cabin have an exclusive check-in facility, as well as access to airport lounge facilities. These passengers are offered a choice of Continental or Indian cuisine (non-veg/veg). There are well-positioned screens that can be enjoyed for cinematic viewing pleasure. Air India ensures that their passengers are comfortable on every trip, thus they have improved illumination and temperature control systems on all flights, as well as complimentary drinks. Air India’s inflight entertainment is an endless list of international and local movies, the latest TV shows, and a variety of audio and games which promises to provide hours of fun. 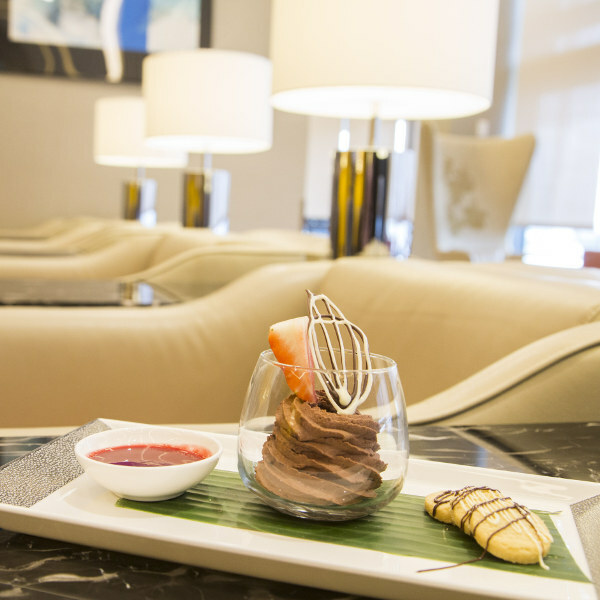 Indulge in a culinary experience inspired by a fusion of cultures. Savour flavoursome cuisine from the Aryans, Moguls, Arabs, Persians, Portuguese, French and British. The exotic combinations of herbs and spices is the very reason Air India has gained worldwide recognition for their inflight dining experience. Air India deploys a vast and effective global network, offering frequent flights to 25 destinations, serving 25 countries with 400 daily departures.